Whether you’ve got a $50 watch, a watch that costs more than most cars, or an Apple Watch, there’s a whole world of better, or at least more interesting replacement bands out there you’re probably ignoring, and Worn & Wound makes some of the best. You can get great watch tools, wallets, and belts from Worn & Wound, but their crown jewel (get it?) is their collection of leather watch straps, featuring stunning and off the beaten path colorways like Horween Color 8, navy, and emerald. 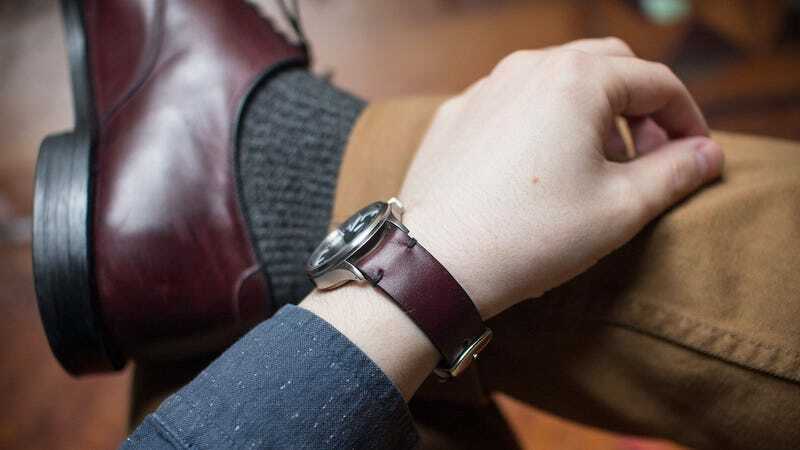 Wind down in the comments and tell us about your favorite watch and third-party strap pairing.